Enrique Metinides spent more than fifty years taking pictures of accidents, disasters and tragedies in Mexico City. His work is presented in this book with an introduction by Geoff Dyer. 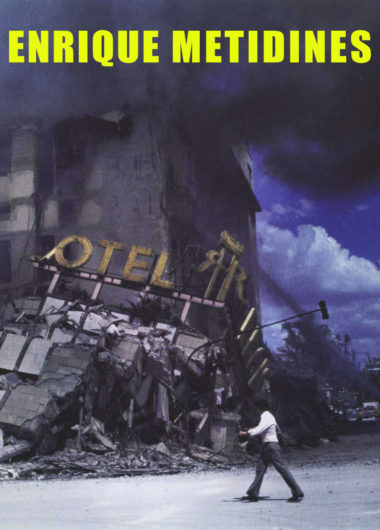 As a photographer of accidents, disasters and tragedies, Enrique Metinides has spent more than fifty years taking pictures of every tragedy imaginable in Mexico City. His work documents a macabre history of the city and its deterioration from the relatively peaceful and naive capital of the fifties to the schizophrenic megalopolis of the twenty first century. His camera not only portrays tragedy and its direct relation to negligence, corruption and urban misery, but also the spectacle of the tragedy, in which masses are crowded in peculiar fashion. Metinides has profoundly inspired a new generation of contemporary Mexican artists over the past decade. His unique style brings together straight investigation with surreal, sensitive and hypnotic imagery. This book features an introduction by Geoff Dyer.